Scuba Diving with scientists in the wonderful waters of the Azores Islands! The 6th. 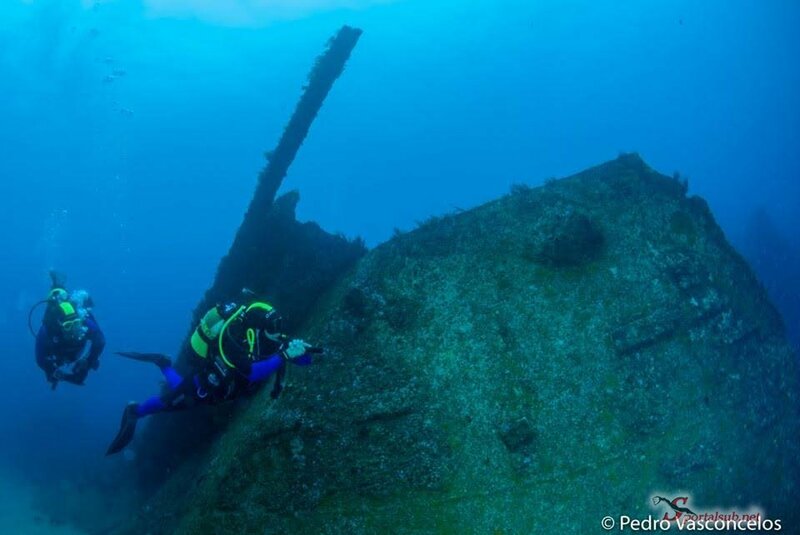 International Scientific Diving Course FPAS / CMAS, took place at Vila Franca do Campo, in the island of San Miguel Azores from 25 to 31 July. The Portuguese Federation of Underwater Activities (FPAS) and the Azores University (NASAL), invited scientists with proven expertise in underwater research, to participate in the course. Archaeologists, Biologists, Oceanographers and other specialists attended, to perform a theoretical and methodological interchange, of related techniques and methods of underwater research, covering fundamental issues that motivated the participants to give their best during their participation in the fascinating waters of the Azores Islands. 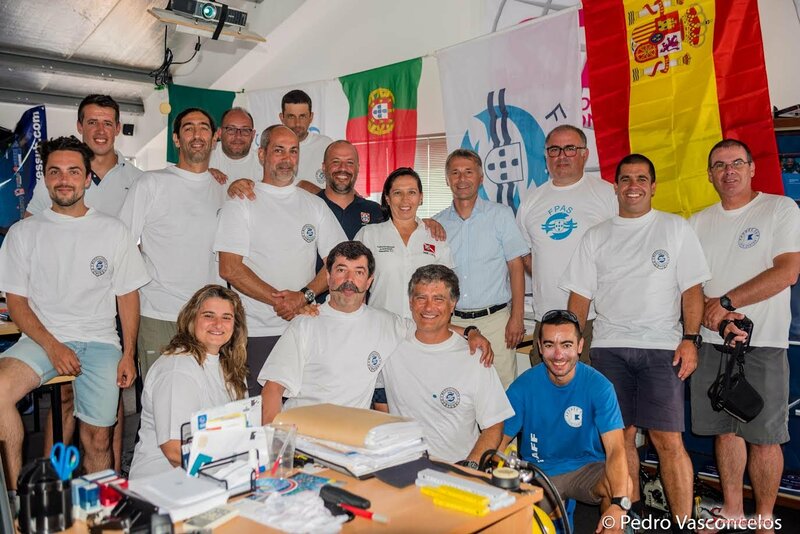 Scientists from Spain, Mexico and Portugal, were directed and supervised by Confirmed Scientific Diving Instructors Jorge Paulo Cruz da Costa Silva, Director of the Scientific Committee of the Portuguese Federation of Underwater and Maria Clotilde Zeckua Ramos, Director of the Scientific Committee of CMAS America Zone. Ralph Schill, Director of the CMAS Scientific Committee, had the opportunity to make a visit during the course, and was impressed with the level of information and work developed durnig the course, and encouraged participants to continue the path of specialization and professionalization in scientific diving. The FPAS, FMAS and CMAS America Zone, continue to work and reaffirm their commitment to difuse their work and guide the sisters federations that are part of the CMAS to certify professionals that participate in scientific multidisciplinary teams courses and projects in different underwater disciplines. 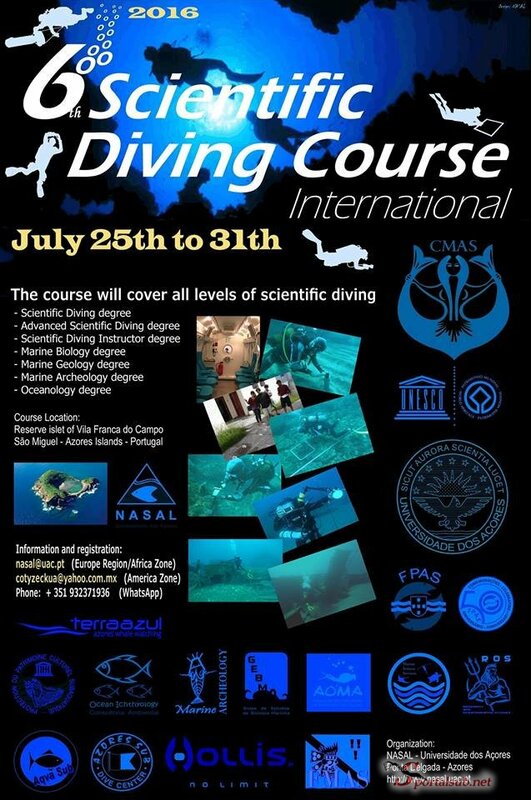 The Portuguese Federation of Underwater Activities (FPAS), with the support and endorsement of the CMAS, invite you to the 6th International Course of Scientific Diving in accordance with the standards established by the CMAS for the all levels of Scientific Diver. The Course will take place at the Reserve islet of Vila Franca do Campo (RVFC), in São Miguel, Azores Islands, from July 25 to July 31 2016. The course will be given in spanish and portuguese. The course will be directed by the CISD Paulo Costa Silva and CISD Ma. Clotilde Zeckua Ramos (Director of the Scientific Committee of the CMAS America Zone).